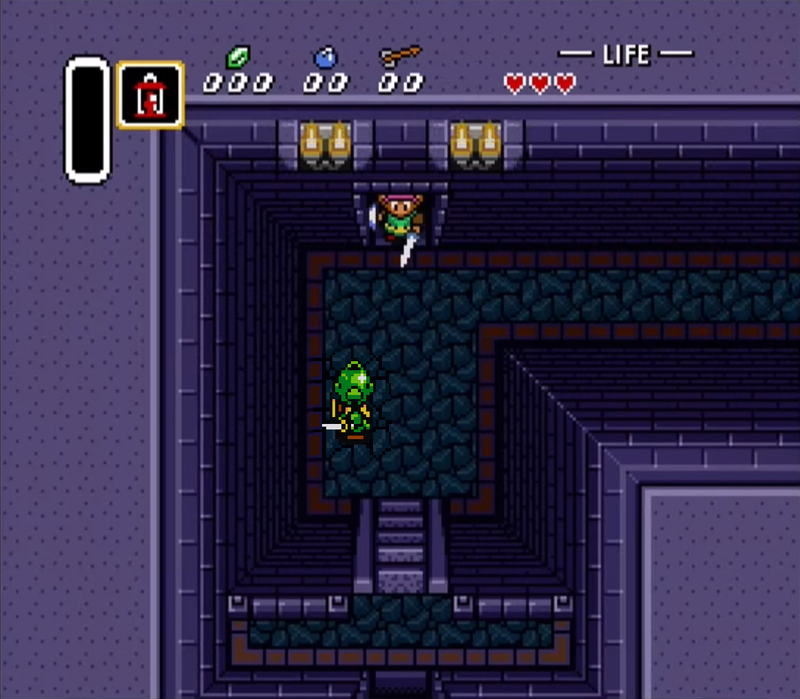 This is going to be an examination of the first combat encounter in The Legend of Zelda: A Link to the Past. We are going to step through the level design, the enemy design, and the overall combination of these elements to determine what Nintendo was trying to teach us in this moment of the game. Strap in, boys and girls (and non-binary folks), we're in for a bumpy ride! This is the first combat encounter. 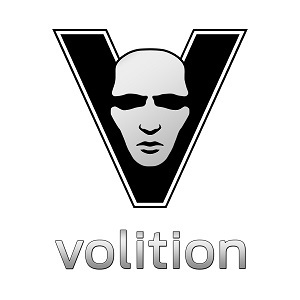 The first combat, before anything moves. Let's take a look at the two parties involved first. 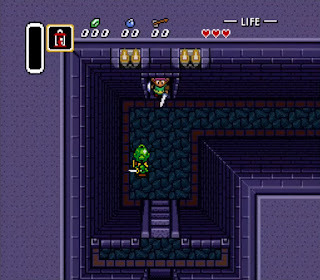 Link, the player, has just been given the sword and shield, and he was given the lantern slightly earlier in the game. So right now those are his combat options, a melee flame attack, a melee sword attack, and a passive shield that can block projectiles. 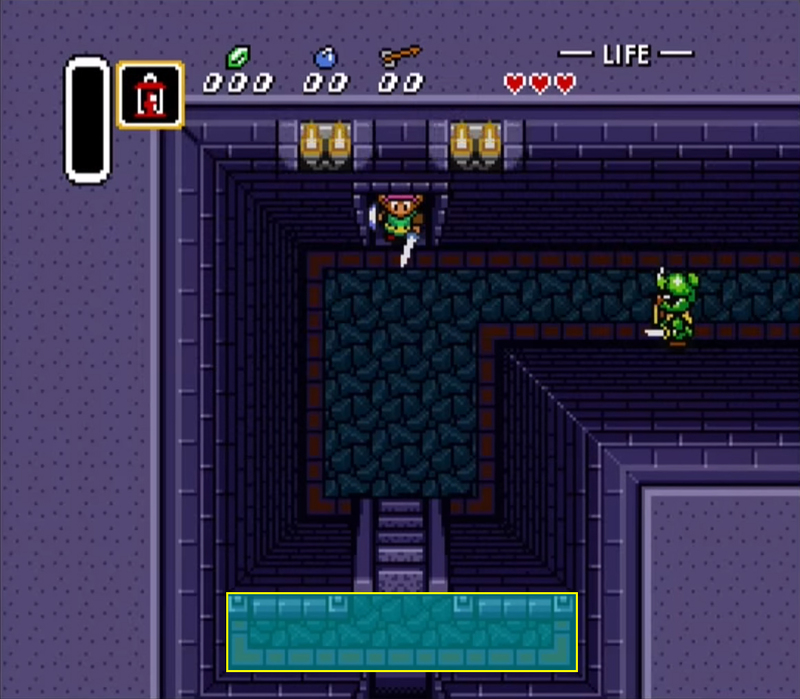 Link also has 3 hearts worth of health, each of which has a state of half damage, meaning he effectively has 6 hp (health points, for the uninitiated). 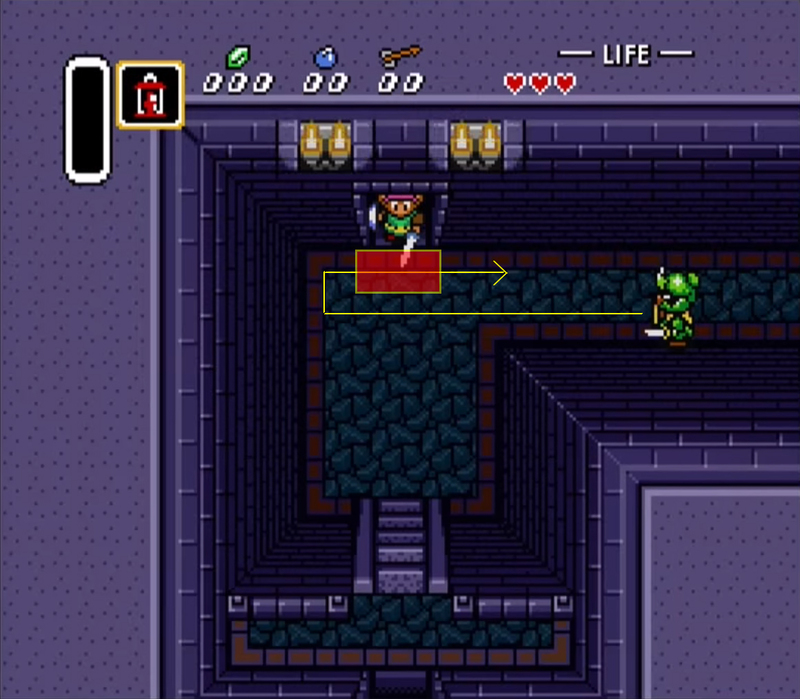 It is also worth noting that this game allows 1/4 damage to be dealt and recorded, so let's say that link has 12 hp. The Knight is a very simple enemy (and these early knights are especially simple, but we'll go over that later). The Knight has a sword that it uses for combat, holding the sword out in front of itself as it rushes towards its opponents. This sword also doubles as a passive shield, in that if you attempt to attack the Knight from head-on your attack will often collide with the sword in its hand. The Knight, however, does not have any active defense or retaliation available. If you attack the Knight, and land a hit, it will not respond other than with the standard color flash and brief pause that accompanies damage being dealt to an enemy in this game. It is also worth noting that while it is info never given to the player, the Knight can take 2 hits from the level 1 sword that Link has at this point in the game, and can deal 1 half-heart of damage (or 2 dmg based on our earlier agreement that Link has 12hp). This particular Knight has a linear sight range. This means that if the player stays hidden in the doorway, the Knight will likely never see them. If the player rushes out of the doorway without looking, however, the Knight is setup such as to be unavoidable and will rush directly at the player. This interaction is notable as, once you reach the world map, these very same green knight enemies have a traditional cone of vision instead of the linear sight range. Let's start in on the environment interaction a little. The Knight is programmed with a particular pattern for this encounter. This pattern emulates the green knight programming, but Nintendo wanted to be sure that this particular instance was optimized to teach the player. The Knight spawns facing to the right when the player enters the room. Immediately, before the stair climbing animation is complete and the player regains control of Link, the Knight rotates 180 degrees to face where the player must be. The Knight then begins moving directly forward, and does so until it reaches the wall. This path actually brings the Knight directly in front of the player's position, but outside of their range of attack. The Knight, however, will make a second pass for the benefit of those players who still haven't left the doorway. 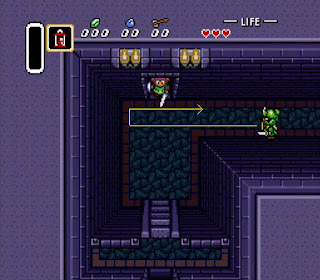 Upon colliding with the wall, the Knight turns 90 degrees to its right, moves north one space, and then turns again to the right, putting it on the top-most row of tiles in the room. This is also within range of the attack of the player, who has a one-square reach. Upon being attacked, entities in LttP are knocked back, away from the attack. In this instance, the room is shaped to allow this. The alcove across from Link is almost the exact length of the knockback caused by a player attack, teaching the player exactly how far they have the ability to knock around an opponent. The green knight is the perfect enemy for this first encounter, as it has no combat response to player action. Upon being knocked into the far alcove, it simply continues its meandering around the room until such time as the player moves directly in front of its line of sight. On the note of making this combat as safe as possible, it's actually not even a required combat at all. The critical path in this room is a straight line directly south. The area behind the Knight is actually a bonus area with some rupees and other pickups that help the player in their quest. It also has a second green knight, because Nintendo can safely assume that anyone who made it to this room is competent enough to dispatch the first knight. Therefore this room is a reward for more advanced players. The required path, however, avoids combat entirely. Meaning that if a player becomes overwhelmed by the strain of combat, they can always continue to the exit door and simply skip the Knight entirely. Adding to this, the bottom of the map introduces the climbing mechanic, putting a raised ledge before the exit. This provides a completely safe space for the player to examine the behavior of the Knight, and prepare themselves to return to the fight after having collected themselves. Nintendo forces the player to deal with combat first, as combat is what this game is all about and avoiding it is impossible, but the setup of this room gives players the maximum amount of time to come to terms with that on their own. And with that, we have come to the end of the article. As a final disclaimer, it's possible this combat will unfold differently for other people on other systems. I was playing an emulator at the time, and while I did engage this combat three times to be sure it was the same each time, I did not take a truly representative sample. Luckily, I feel like even if the enemy AI doesn't act the same for other players, most of the lessons found in this combat experience are still applicable. Thanks for reading! Feel free to leave your thoughts below in the comments.